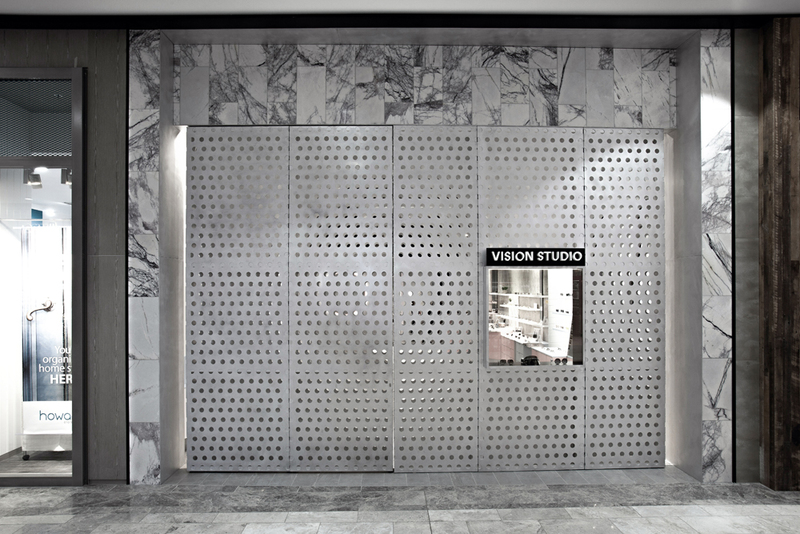 The store is designed with an aluminium perforated facade that hinges opens to reveal a jewel-like interior. 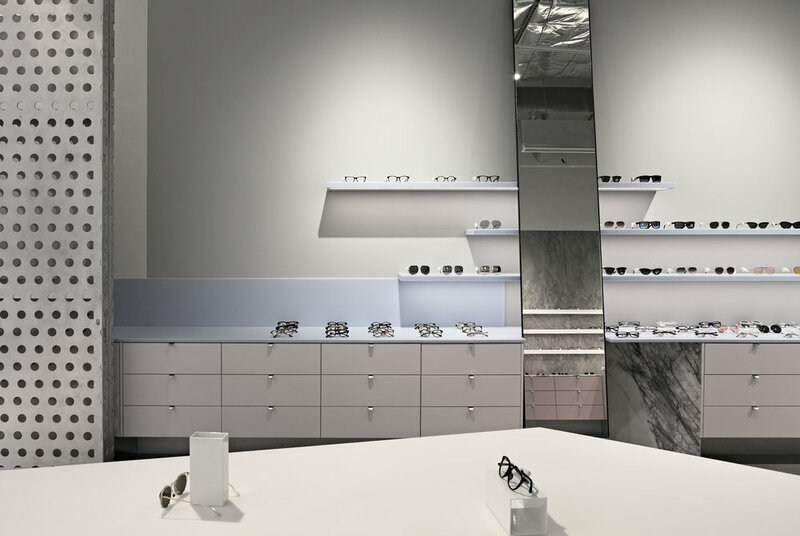 Displaying eyewear by brands such as Dior, Bvlgari, DITA, Gucci, MYKITA & Thom Browne. The space is zoned into store area and display to the front with optician & consulting spaces at the rear. The interior is conceived as a paired back gallery space with accents of colour & vibrancy. A balance between raw & refined. 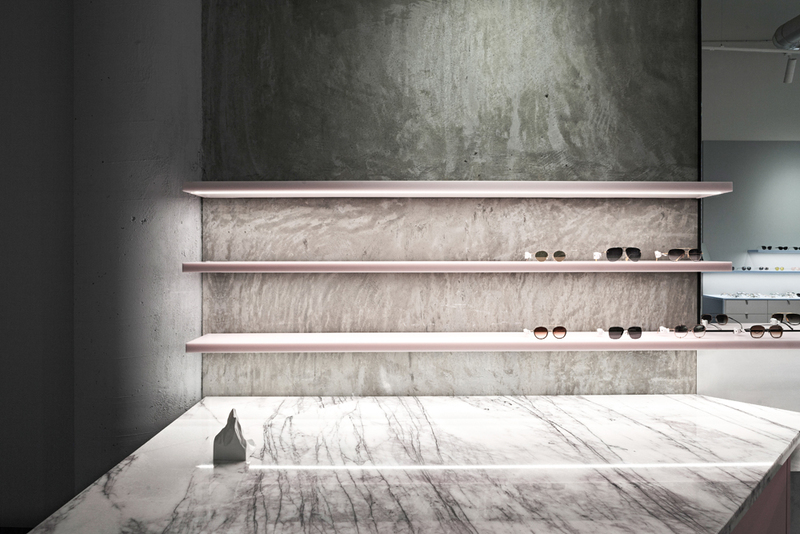 Industrial materials, such as aluminium and concrete contrast with seamless marble surfaces & translucent pastel shelving appearing to float along the length of the space. The store is envisaged as a physical extension of the Vision Studio brand which Studio Edwards worked closely with the client & graphic designer Louie Quilao to create & refine.